7 years after joining the club, and 5 years after obtaining a work permit enabling him to play in England, Joel Campbell is finally set to leave the club. The Costa Rican international is set to join Italian side Frosinone Calcio on a 3-year-deal. Campbell has always divided fans – something which I have never understood. On one side you have the fans who would defend him, say how talented he was, that he was never given a chance by Arsene Wenger and was essentially ruined. It was agenda driven. 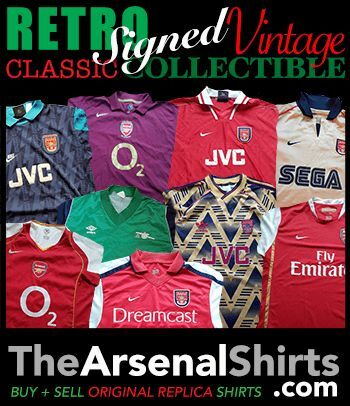 The other side – the majority of Arsenal fans – saw a player who was not really good enough to wear the shirt, and regards of their position on the manager, felt he probably should have been sold in 2014 after a couple of decent World Cup games. The reality is, those that “rated” him, and still do, only do that to attack Wenger, not because they think he is any good. Even over the summer, I have people claiming that he had a lot of potential and was still good enough for Arsenal. Campbell is now 26, so we really should stop talking about him like he is a bright young talent. In 40 appearances for Arsenal, he scored just 4 goals. So those saying he “always impressed for Arsenal” are clearly seeing him through biased glasses. On loan at Villarreal, Sporting and Betis, he also struggled to break through into the first team. In the 3 seasons he spent on loan, he started just 25 league games. If he was not good enough for those teams, he is certainly not good enough for The Arsenal. He’s a strange one. I would say a lot of the traditional “WOBs” rated him after 2015 when it became political but the AKBs supported him before then when Wenger didn’t want to sign anyone. Sums up our fanbase tbh. As I said, the support of him by some fans will always baffle me. It seems they rated him purely because the old manager did not. And at the same time they called Theo Walcott “dead wood”. Campbell follows Chuba Akpom, Lucas Perez & Jeff Reine-Adélaïde out of the club, continuing the process of removing those players who are simply not good enough from the squad. This entry was posted in Arsenal and tagged Arsenal, joel campbell, She Wore, She Wore A Yellow Ribbon on August 16, 2018 by keenosafc. JC….another s78t over-paid w78ker brought in by a manager who should have been removed years earlier.